We offer car van and truck keys for all makes, and we are mobile specialist vehicle locksmiths. If you need a replacement Boxer, Relay, or Ducato van key we have them in stock and we can do your job today. It doesn’t matter if you have lost your van key and have no key at all, or if the van is locked, we can open the van, cut a replacement key to fit your existing locks and finally program your new key to the vehicle immobiliser. If you just need a spare van key we can do that too .. and we make it easy for you no booking at the dealer and loosing your van for the day, we can do our job while you are doing yours. If your at work it is not a problem to us we come and do the job at your location. 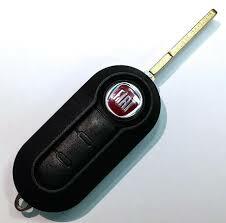 Which ever derivative of the van you have be it Fiat, Citroen, or Peugeot we can supply and program you a new key. Locksmiths in Cambridgeshire, Essex, Bedfordshire, Hertfordshire and parts of Suffolk.